What does the picture to the right convey? Of course, it immediately shouts out video production. 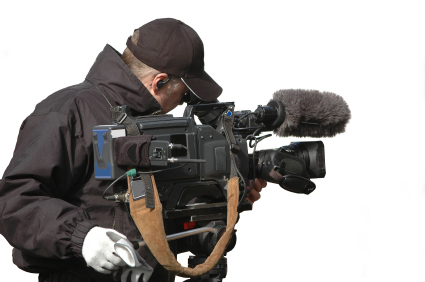 For years, we’ve seen cameras like this toted by professional news videographers. You see them at every news conference and at major events. But that image of video production is becoming as outmoded as the image of the rotary telephone. 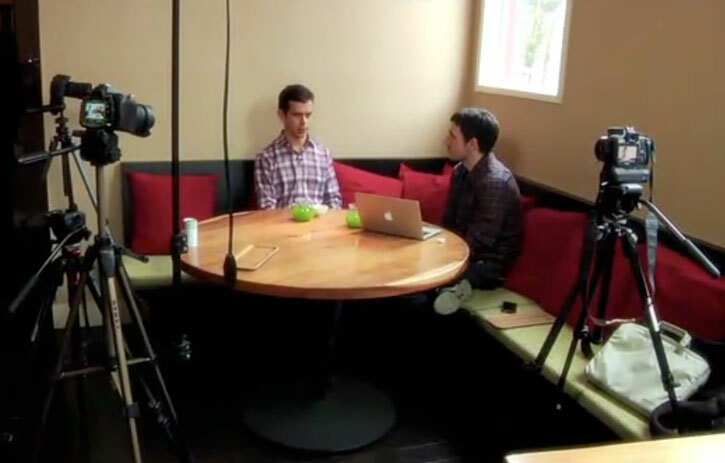 Take a look at this picture of Kevin Rose interviewing Twitter co-founder Jack Dorsey for his Foundation video blog. The tradtional video camera is totally absent from this picture, replaced by a trio of DSLR cameras. Producing top quality video. At an affordable cost. The future of video production is here today.